>>Magic Water 210ml<< -Contains an array of skin-loving ingredients to boost and soothe the skin. It promotes skin translucency and creates smoother skin texture with brightened skin tone. 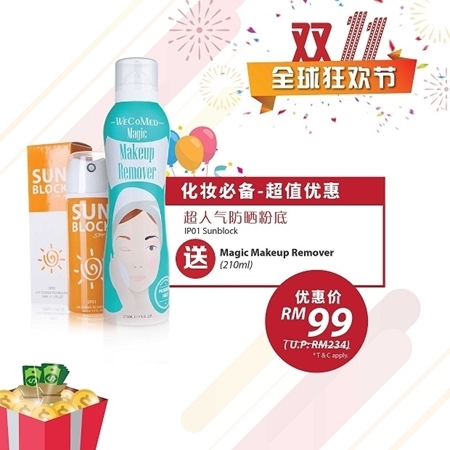 IP01 Sunblock + Magic makeup remover 210ml now only RM99!! !